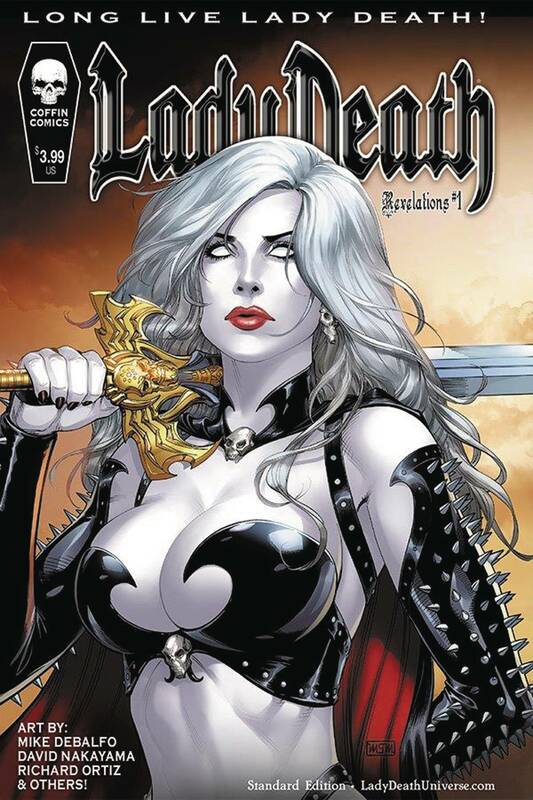 Lady Death has many sides to her dark personality and these 'revelatory' images will show you sides of her you've never seen. Feast your eyes on illustrations by some of today's finest pin up artists including Mike DeBalfo, David Harrigan, Scott Lewis, David Nakayama, Richard Ortiz, Romano, Nei Ruffino, and many more! 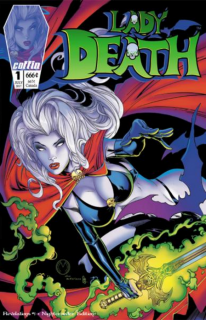 Hand picked and art directed by Lady Death creator Brian Pulido.